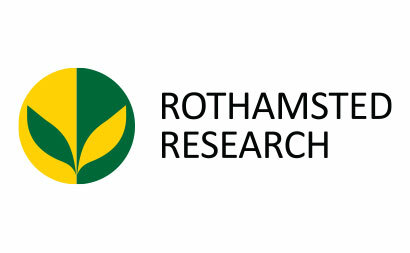 Rothamsted is the longest running agricultural research station in the world, providing cutting-edge science and innovation for more than 170 years. Andy Whitmore works with Waitrose and the Waitrose Agronomy group to explore ways of increasing crop yields by improving levels of organic matter in the soil. With funding from HGCA’s soil management programme, from Defra and from the recent BBSRC and NERC-funded Sustainable Agriculture Research and Innovation Club (SARIC), he has set up a number of field trials which explore the idea that soil organisms use organic amendments to fuel their own activities and improve soil structure as a result.Indirectly, this improvement in structure helps to increase crop yields by allowing roots to explore soil for nutrients and water more easily and more fully. As well as a series of large field experiments at Rothamsted, the projects benefit from input from Produce World who are running trials on growers’ fields in the Eastern Counties. The additional funding from Defra looks at other ways of improving soil structure and the SARIC work focusses on how long the improved structure lasts and what the risks of nitrogen pollution are from the organic amendments.More widely Andy works on understanding sustainable agricultural production and has or has recently had other projects with BBSRC, NERC, ESRC and HGCA to do this. Andy discusses how systems of crop production can be stimulated to drive sustainable production.